Jay Armsworthy, Bluegrass For Hospice Promoter & Event Coordinator, happily announced that Bluegrass For Hospice-2011 held Saturday October 22 was another great success. $20,461.00 was the total amount that was raised at the event. 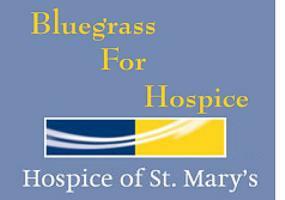 Most importantly, I'd like to say “thanks” to you, the people, for supporting Bluegrass For Hospice-2011. The community of St. Mary's County is very generous. Bluegrass Music Fundraiser features the "award winning" Gibson BrothersGreat Mills, Maryland, 10/3/2011— The featured, headlining group, The Gibson Brothers swept up two of the biggest awards at last Thursday (September 29, 2011) night's 22nd annual International Bluegrass Awards at the Ryman Auditorium, taking home "Album of the Year," and "Vocal Group of the Year." 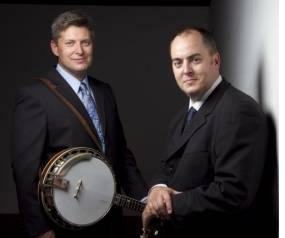 The Compass Records duo, Eric and Leigh Gibson, received seven nominations for Help My Brother released in February to chart topping and critical success, establishing them as one of bluegrass' hottest acts. The Gibson Brothers from New York will be part of the Bluegrass event, "Bluegrass For Hospice-2011", a one day music event that will be held on Saturday October 22, 2011 at the Flat Iron Farm on Flat Iron Road in Great Mills, Maryland. The event, beginning at Noon, will raise money for the Hospice House of St. Mary's County located in Callaway, Maryland. Presented and coordinated by Jay Armsworthy, "Bluegrass For Hospice-2011" will also feature many local Bluegrass bands as well.